Graduated from the music academy of Caen (Normandy) in 1997, LeLoiL has played / toured since then with european jazz greats such as Emmanuel Bex, Peter King, Alain Jean-Marie, Serge Lazarevitch or Eric Barret, Sophie Alour, Pierrick Pedron, Siegfried Kessler, Geraldine Laurent among others…He has been a member in the section of such big bands as Maria Schneider Orchestra, Albert Mangelsdorff OFAJ (Orchestre Franco-Allemand de Jazz from ’97 to ‘99) or Antoine Hervé (UMJ band in 2002). 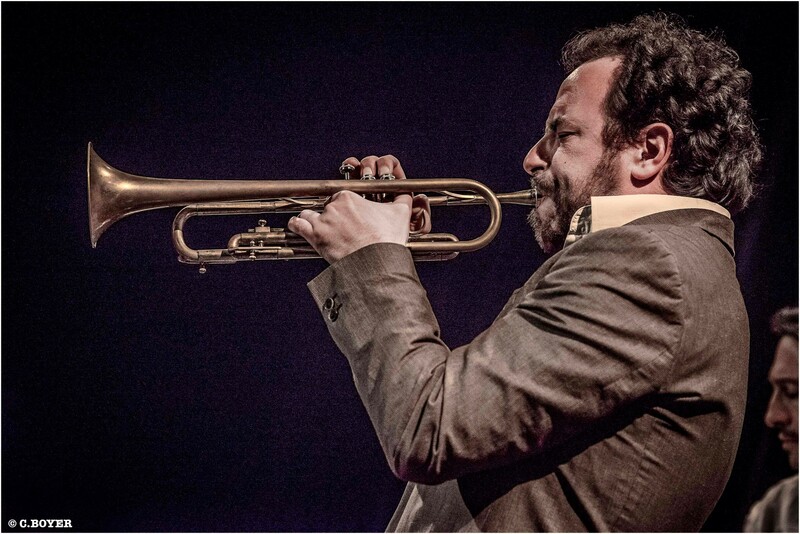 International tours with Fred Galliano (US – Knitting Factory NYC), Funk Brass Band URANUS BRUYANT (US, Europa, Africa). His 1st record as a composer in 2009 showed him leading a sextet featuring pianist Carine Bonnefoy , brilliant alto player Raphaël Imbert, clarinet virtuoso Thomas Savy, plus Simon Tailleu and Cedrick Bec, one of the best rythm section in the young french Jazz Scene. The sextet presented a one hour suite composition by LeLoiL called E.C.H.O.E.S. , recorded for AJMIséries label and unanimously acclaimed by the press and jazz festivals. He is also a eminent member of Archie Shepp ATTICA BLUES Orchestra (2015 GRAMMY nominated) sharing the stage with Ambrose Akinmusire, Famoudou Don Moye, Cecile Mc Lorin, Tom Mc Clung, Stéphane Belmondo, Reggie Washington or Darryl Hall…Furthermore Leloil appears in Ligne Sud last record with bass master Jannick Top and drums legend André Ceccarelli. His last project Line4 , an original songbook inspired by a urban modern mood, written for a new quartet including drums master André Charlier, was recorded in 2013 (Label Durance/orkhestra) and again welcomed by the critics pool. At the same time, recipient of a master degree in Jazz LeLoiL is teaching at Alpes de Haute Provence Music Academy since 2010..